Members of our family fought on both sides of this conflict. While some men living in the Union slave states of Missouri, Kentucky and Maryland fought for the North and others for the South, I have yet to find any proof that anyone living in the Confederacy fought for the Union, but I have found evidence of "brother fighting brother" in Missouri: It appears Ellsberry and James sided with the Confederacy while John and William Henry backed the Union. Our family had at least 173 men in blue and 18 in gray -- and at least 27 of them died during the war. Another member of the family, Muhlenburg C. 1836- ? [01-04324] Aladdin "Burg" Muhlenburg, John, Giles, Hiel, Nathaniel, Nathaniel, John, John, was said to have died in the war in Virginia -- but I can't find any papers that show which side he was on. His brother Silas fought for the Confederacy. This list has been compiled from records of the National Archives, the National Park Service, muster rolls and state archives. While the Union soldiers and sailors are documented in Washington, the Confederates' records are in various state collections which makes it more cumbersome. And many Confederates -- understandably -- had only their initials recorded in records instead of their complete names, adding to the difficulty in figuring out who's whom. I've also run across one black member of the family who served in the Union Army. More information will be added to each soldier's entry when time allows. Because men frequently changed companies or regiments, this list is in flux and there may be more than one entry for the same man (I'm trying to whittle those "unplaced" soldiers down.) Those men whose names are in red died in the war. Evidence is more than welcome if you know of other Parmelees, not listed below, who participated in our nation's bloodiest conflict. Pictures of these men would be greatly appreciated. Served as captain of Lizzie Bacon, a blockade-running schooner, off the Texas coast. In the Confederate naval personnel index he is listed as a "watchman." Co. A, 17th Texas Cavalry, Moore's Regiment. Alabama records state that in 1862 he was a member of the 1st Mobile Volunteers. private and major/commissary sergeant; of Savannah and Albany, Ga., New York City, and Waterproof, La. Co. K, 51st Georgia Infantry, Dougherty County's "Dougherty Grays," Semmes' Georgia Brigade; enlisted March 22, 1862. Co. S, 51st Georgia Infantry; enlisted June 12, 1862; dropped Feb. 5, 1863. On Feb. 2, 1865, the Confederate Senate recommended his promotion to commissary sergeant with the rank of major. He was buried in Brooklyn's Green-Wood Cemetery. Co. F, 16th Louisiana Infantry. Enlisted Sept. 29, 1861, at Camp Moore, La. Co. A, 11th Missouri Infantry, "Hunter's Regiment." His brother James also was in this company; brothers John and William Henry fought for the Union. Co. A, 11th Missouri Infantry, "Hunter's Regiment." His brother Ellsberry also was in this company; brothers John and William Henry fought for the Union. Missouri war records state that his death in 1863 was recorded at the Rock Hotel Hospital in Little Rock, Ark. Co. I, 19th Texas Cavalry, Buford's Regiment. 19th Tennessee Infantry. This the same James E.? sergeant; of Hopkinsville, Ky., and Dahlgren, Ill.
Co. B, 22nd Louisiana Infantry (before and after it was consolidated in December, 1863); also in Green's Battery, Kentucky Light Artillery. He was buried at Shelton Cemetery outside of Dahlgren, Ill. This the same James E.? private/2nd lieutenant; of Carroll County, Miss. Co. H, 30th Mississippi Infantry. Enlisted April 8, 1862; died June 20, 1862, on sick leave. His brother William Jordan also served. Capt. Cobb's Co., Kentucky Light Artillery; corporal, Co. 1-F, 3rd Kentucky Mounted Infantry. Enlisted July 16, 1861, at Camp Boone, Tenn. Is he a brother of William A.? private; of Dade or Stewart County, Ga.
Co. I, 21st Georgia Infantry, the "Stewart Infantry.". Enlisted March 15, 1862, appears on last roll on April 30, 1863. Died of wounds June 10, 1863, at Richmond, Va.
private; of Wayne County, Ky., and Osceola and Joplin, Mo. Co. D, 4th Missouri Infantry. Co. C, 2nd Texas Infantry. private; of Marion County, Tracy City and Coalmont, Tenn.
Caruthers' Battery Tennessee Heavy Artillery and Co. H, 35th Tennessee Infantry (5th Tennessee Regiment Provincial Army. Mountain Rifle Regiment). Enlisted on Sept. 6, 1861, at Camp Smart. His pension application dated May 4, 1908, states that he did not take part in any battles but was on detached service, tending to the ill and injured in hospitals, in one instance at Vicksburg, Miss. In 1862, he was sent to a hospital to be treated for piles and was declared unable to do manual labor. On the company's roll for July 17, 1863, he is reported "absent without leave" and there is no mention of him in the records after that. His brother, Muhlenburg, may have been killed in the war. He was buried at the city cemetery at Sequatchie, Marion County, Tenn.
captain/corporal; of Poughkeepsie, N.Y., and New Orleans, La. Corporal in Co. A, 1st Special Battalion (Rightor's), Louisiana Infantry. Enlisted April 15, 1861; discharged October, 1861. Captain in Co. H, Crescent Regiment, Dreux's Battalion, Louisiana Infantry. On rolls for March 5-June 5, 1862. Resigned May 3, 1862. Co. 1-F, 3rd Kentucky Mounted Infantry and Capt. Cobb's Co., 1st Kentucky Light Artillery. Enlisted July 26, 1861, at Camp Boone, Tenn. Is he a brother of John? 3rd lieutenant; of Carroll County, Miss. Co. E., 4th Mississippi Infantry. Enlisted Aug. 24, 1861. Also a private, Co. B, 5th Mississippi Cavalry. He was captured Feb. 16, 1862, at the fall of Ft. Donelson, Tenn., and held at Camp Chase in Columbus, Ohio, before being taken to the Confederate prison on Johnson's Island in Lake Erie, just off the coast of Sandusky. One of his letters home has recently been discovered. His brother, James M. also served. private; of West Bloomfield, N.Y.
Cos. K and D, 13th New York Infantry. Enlisted Oct. 21, 1861; mustered out May 14, 1863, at Rochester, N.Y. During his 18 months of service, he was in 10 large battles -- including Courthouse, Seven Days before Richmond, Second Battle of Bull Run and Antietam -- and was wounded June 27, 1862, in the battle of Gains Mills, Va. He filed for a pension Dec. 11, 1872; his widow, Hattie, filed for one July 10, 1926. He is the brother of Robert H..
private, of Monticello, Ky., Paris, Texas, Elk Falls, Kans., and Cherokee City, Ark. Cos. I and H, 12th Kentucky Infantry. He filed for a pension, but I cannot read the date on the index card. This may be a photo of him. With him in Company I were brother William Irvin and half-brother Giles. private; of Claremont, N.H., and Oneida County, N.Y.
Co. D, 9th Vermont Infantry. Enlisted June 10, 1862; taken prisoner and paroled at Winchester, Va., in 1862; discharged Oct. 31, 1862, on disability. He filed for a pension Dec. 26, 1879. Co. B, 117th New York Infantry. Enlisted July 1862, discharged January, 1863, on surgeon's certificate. He filed for a pension June 25, 1881. Co. H, 16th Kentucky Infantry. He died Feb. 14, 1865, and was buried at Arlington National Cemetery in Virginia. private/corporal; of Salem and Haverhill, Mass. Co. C, 30th Massachusetts Infantry. Died aboard the steamer North Star two days out of New Orleans on the way to Key West, Fla., where he was buried. His widow, Lornhannah, filed for a pension on April 18, 1863.
private; of West Springfield and Charlton, Mass. Co. K, 27th Massachusetts Infantry. He field for a pension Feb. 4, 1889; his widow, Mary, filed for one Oct. 2, 1896.
private; of Hillsdale and Ransom, Mich.
Co. B, 7th Veteran Reserve Corps and 170th Co., 2nd Veteran Reserve Corps. Enlisted Dec. 16, 1863; discharged July 3, 1865, at Washington, D.C. He was buried at Hillsdale's Lake View Cemetery. He is a brother of Noble S.
private, of West Troy and Seneca Falls, N.Y.
Co. A, 148th New York Infantry. Enlisted Aug. 7, 1862; mustered out June 22, 1865, at Richmond, Va. He filed for a pension July 26, 1890.
mate/landsman; of Utica and Buffalo, N.Y., New Haven, Conn., and Worcester, Mass. Enlisted in the Navy on Jan. 22, 1863, but his appointment was revoked Feb. 14, 1863, having been appointed a captain's clerk. He filed for a pension April 18, 1906.
sergeant/1st lieutenant; of Niles, Ohio, St. Louis, Mo., and Ashville, N.C.
Cos. E and H, 108th Ohio Infantry. Enlisted Aug. 12, 1862; mustered out at Louisville, Ky., on July 22, 1865. He filed for a pension Aug. 10, 1891; his widow, Margaret, filed for one March 4, 1927. Co. A, 1st Michigan Cavalry Lancers. Enlisted Oct. 11, 1861; mustered out March 20, 1862, at Detroit. Co. I, 5th Connecticut Infantry. Enlisted July 4, 1861, discharged Nov. 28, 1861, on disability. Co. D, Marine Light Artillery. Enlisted Jan. 7, 1862; discharged July 10, 1862, on disability. Co. F, 5th New Hampshire Infantry. Drafted Oct. 10, 1863; mustered out June 28, 1865, at Alexandria, Va. He filed for a pension June 2, 1866; his widow, Martha, filed for one Aug. 23, 1896.
private, of Mackinaw, Ill., and Virgil, Mo. Co. F, 3rd Illinois Cavalry. He filed for a pension July 18, 1890; his widow, Maria, filed for one Oct. 6, 1913. He was buried at Deerfield Cemetery, in Deerfield, Mo. 1st Co., Brady's Sharpshooters, 16th Michigan Infantry. Enlisted Nov. 1, 1861, at Detroit; mustered Jan. 23, 1862. Joined regiment at Hall's Hill, Va., on Feb. 14, 1862. Discharged at expiration of three-year term of service on Nov. 1, 1864. He filed for a pension May 24, 1890; his widow, Elizabeth, filed for one Aug. 14, 1922.
private; of Chatham [East Hampton], Conn.
Co. H, 25th Connecticut Infantry. Enlisted Sept. 4, 1862; died Jan. 19, 1863, at Baton Rouge, La. There is one marker for him at Lake View Cemetery, right, in East Hampton, Conn., and another at Baton Rouge National Cemetery in Louisiana, where he was buried. The date of death on the latter is incorrect. private; of Strongsville, Ohio, Monroe, Mich., and Rochelle, Ill.
Co. I, 8th Ohio Infantry. Enlisted Aug. 10, 1861; discharged April 30, 1863, on disability. He filed for a pension May 15, 1863; his widow, Exantha, filed for one Aug. 5, 1908. He was buried at Lawnridge Cemetery in Rochelle. private; of Marlborough and Newburgh, N.Y.
Unassigned, 16th New York Heavy Artillery. Enlisted Aug. 16, 1864; mustered out May 7, 1865, at Hart's Island in New York Harbor. Cos. M and F, 8th Michigan Cavalry. Missing in action Nov. 23, 1864, at Henryville, Tenn., and imprisoned at Andersonville, Ga., where he died of pleurisy on March 12, 1865. 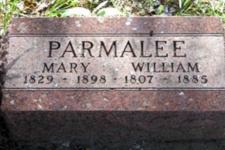 His widow, Mary, filed for his pension Oct. 5, 1866.
private/corporal, of Dundee, Ill., and Corning, Calif.
Co. I, 52nd Illinois Infantry. Enlisted Sept. 11, 1861; mustered out July 6, 1865. He filed for a pension July 15, 1884; his widow, Elvira, filed for one June 2, 1904. He was buried at Corning's Sunset Hill Cemetery. private; of Litchfield, Southbury and Cornwall, Conn.
Co. I, 13th Connecticut Infantry. Enlisted Dec. 31, 1861; mustered out Jan. 6, 1865. Co. A, 13th Pennsylvania Cavalry. Enlisted Oct. 24, 1861. Enlisted Oct. 24, 1861, died Jan. 21, 1862, of measles in Philadelphia. His widow, Frances, applied for a pension Oct. 12, 1864. His brother Joseph also served. Co. C, 38th Wisconsin Infantry. Enlisted March 31, 1864, died July 25, 1864, of disease en route to Washington, D.C. His widow, Lucy, filed for a pension on June 12, 1865.
landsman; of New Haven, Huntington and Derby, Conn. Served about one year in the Navy. Co. G, 188th New York Infantry. Enlisted Sept. 9, 1864; mustered out June 15, 1865, at Washington, D.C. He filed for a pension Oct. 17, 1873.
private; of Granby, Conn., and Springfield, Mass. Cos. C and M, 1st Massachusetts Heavy Artillery. He filed for a pension Sept. 15, 1890; his widow, Fanny, filed for one Sept. 29, 1893. Co. F, 5th New Hampshire Infantry. Drafted. Enlisted Oct. 10, 1863, discharged on disability at Annapolis, Md., on June 26, 1865. He filed for a pension Aug. 3, 1865; his widow, Maria, filed for one March 31, 1913.
private, of Twinsburg, Ohio, Baltimore, Md., and Omaha, Nebr. Co. A, 23rd Ohio Infantry. He filed for a pension May 25, 1906. His Omaha home was destroyed in the notorious 1913 Easter Sunday Tornadoes. He was buried at Omaha's Forest Lawn Memorial Park. Co. G, 16th Connecticut Infantry. Enlisted July 25, 1862; killed Sept. 17, 1862, at Antietam, Md., in "the cornfield." lieutenant adjunct; of Louisville, Ky.
Cos. F and S, 34th Kentucky Infantry. His mother, Susan, filed for a pension July 1, 1889.
private/corporal; of Decatur, Mich., and Flatwillow, Mont. Co. K, 1st Michigan cavalry. Enlisted Nov. 30, 1863, discharged July, 10, 1865, at Fort Leavenworth, Kans. He filed for a pension July 1, 1871 (?). Half-brother of Theodore S.
Band, Cos. H and C, 3rd New York Light Artillery; Enlisted Nov. 16, 1861; mustered out June 2, 1863, at Elmira, N.Y. He filed for a pension Sept. 22, 1879; his widow, Kate, filed for one Dec. 17, 1892.
private; of Goshen, Conn., and Elkhorn, Wisc. Co. L, 1st Wisconsin Cavalry. Enlisted Feb. 26, 1862; died Sept. 6, 1862, of disease at Leavenworth, Kans. His mother, Martha, filed for his pension May 31, 1887. Co. A, 1st Connecticut Cavalry. Discharged Feb. 28, 1862, by way of favor. He filed for a pension May 30, 1864.
private; of Monroe Co., Mich.
Cos. D and H, 65th Illinois Infantry. His widow, Ellen, filed for his pension Sept. 7, 1887. Co. K, 106th New York Infantry. Enlisted Aug. 7, 1862; mustered out June 22, 1865, at Washington, D.C. He field for a pension June 19, 1906; his widow, Virginia, filed for one Feb. 2, 1924. He is the brother of Sanford D.
Co. H, 177th Ohio Infantry. He was one of the "Squirrel Hunters" in 1862 and then served the last year of the war, taking part in the battle of Murfreesboro / Stones River in Tennessee. Co. G, 1st Ohio Light Artillery. Enlisted Dec. 31, 1863; mustered out Aug. 31, 1865, at Camp Chase, Ohio. Served with an uncle, John. Co. F, 1st Michigan Infantry and Co. K, 4th Michigan Infantry (second organization). He filed for a pension June 1880; his widow, Lydia, filed for one Feb. 18, 1898. Brother of Henry W.
private; of New Haven and Bristol, Conn.
Co. I, 15th Connecticut Infantry. Enlisted Aug. 11, 1862; discharged Dec. 24, 1862, on disability. He filed for a pension March 23, 1863; his widow, Eliza, filed for one June 12, 1893. Co. G, 1st Ohio Light Artillery. He was buried at Los Angles National Cemetery. Co. C ("Rifle Co. C"), 3rd Connecticut Infantry. Mustered in April 24, 1861; mustered out Aug. 12, 1861, at Hartford, Conn.
Co. H, 25th Connecticut Infantry. Enlisted Sept. 3, 1862, mustered out Aug. 26, 1863, at Hartford, Conn. He filed for a pension Oct. 13, 1892. His was buried at the Veterans Cemetery in Darien, Conn.
private; of Omro and Ripon, Wisc. Co. E, 1st Wisconsin Cavalry. Enlisted Nov. 16, 1863, mustered out July 29, 1865. His cavalry unit was involved with the capture of President Jefferson Davis near Irwinsville, Ga. Franklin filed for a pension Jan. 12, 1875; his widow, Amelia, filed Oct. 31, 1924. He is the son of Truman. Co. E, 7th Connecticut Infantry. Enlisted Sept. 6, 1861; was wounded Feb. 20, 1864, at Olustee, Fla.; discharged July 28, 1864, on disability. He filed for a pension Jan. 29, 1866; his widow, Ellen, filed for one July 26, 1905. Co. A., 20th Connecticut Infantry. Enlisted Aug. 22, 1862; discharged March 27, 1863, on disability. Co. B, 1st New York Light Artillery (National Guard). He filed for a pension July 19, 1890; his widow, Ruby, filed for one Aug. 22, 1893. Co. H, 63rd U.S. Colored Infantry. This unit was organized March 11, 1864, and served along the Mississippi, at Natchez and Vicksburg. His name appears on Plaque C-73 of the African American Civil War Memorial. Co. G, 1st Connecticut Heavy Artillery. Enlisted May 22, 1861; died Sept. 16, 1861, "of fever" at Camp Lyon near Darnestown, Md. His marker is at Lake View Cemetery in East Hampton, Conn.
Co. E, 137th New York Infantry. He may be the same man as below. Co. B, 102nd New York Infantry. He may be the same man as above. Co. F, 7th Connecticut Infantry. Enlisted Aug. 29, 1861; discharged Sept. 2, 1865. He filed for a pension March 28, 1889; his widow, Jesse, filed Nov. 27, 1896.
private; of Brown County, Ind. Co. G, 1st Connecticut Heavy Artillery. Enlisted Aug. 15, 1861; died Oct. 4, 1861, at Jefferson City, Mo. Cos. C and G, 112th New York Infantry. He filed for a pension Sept. 17, 1907; his widow, Kate, filed for one, June 12, 1922. Co. F, 97th New York Infantry. Enlisted Feb. 11, 1862; mustered out July 18, 1865, at Ball's Cross Roads, Va.
Co. C, 83rd New York Infantry. Enlisted Feb. 12, 1862; deserted Oct. 15, 1863. Co. I, 31st Michigan Infantry. Filed for a pension March 17, 1900. Co. B, 14th Connecticut Infantry. Enlisted July 31, 1862; discharged Dec. 29, 1862, on disability.Buried at Middletown's Mortimer Cemetery on Liberty Street. private; of Sylvania, Ohio, and Maple Grove, Mich.
Co. C, 7th Michigan Cavalry. Enlisted Sept. 4, 1862; discharged Dec. 15, 1865, at Fort Leavenworth, Kans. He filed for a pension Nov. 28, 1879; his widow, Eleanor, filed June 27, 1892. He is the brother of Oliver A. and Reuben G.
sergeant/private; of Wayne Co., Ky.
Co. I, 12th Kentucky Infantry. He filed for a pension July 14, 1890. With him in the same company are half-brothers Aladdin and William Irvin. Co. I, 157th New York Infantry. Enlisted Sept. 2, 1862; died July 4, 1863, of typhoid fever at a hospital in Washington, D.C. His father, Danforth, filed for his pension Feb. 19, 1896. He was buried at Cazenovia's Evergreen Cemetery. captain; of Grand Rapids, Mich.
Co. I, 1st Michigan Engineers and Mechanics. Enlisted Sept. 12, 1861; resigned July 30, 1862, at Huntsville, Ala. He filed for a pension July 14, 1890; his widow, Mary, also filed for one. private/musician; of Wellsville, Ohio, Prospect and Winchester, Tenn., and Dalton, Ga.
Cos. G and S, 27th Ohio Infantry. Enlisted July 27, 1861; mustered out July 11, 1865, at Louisville, Ky. He filed for a pension March 19, 1887. His brother Luman died in the war. musician; of Stillwater, Minn., and Canton, Mo. Co. K, 7th Illinois Infantry. He filed for a pension Sept. 21, 1863; his widow Anna filed Nov. 17, 1919. He was buried at Canton's Forest Grove Cemetery. Co. I, 14th Connecticut Infantry. Enlisted Aug. 7, 1862; discharged Dec. 23, 1863, on disability. He filed for a pension Aug. 22, 1864; his widow Georgiana filed for one Oct. 26, 1896. He was buried at Guilford's Alderbrook Cemetery. Co. B, 109th New York Infantry. Enlisted Aug. 6, 1862; mustered out June 4, 1865, at Delaney House, D.C. He filed for a pension April 26, 1869; his widow, Gertrude, filed for one Nov. 3, 1919. Co. D, 5th Massachusetts Infantry, Co. M, 1st Massachusetts Heavy Artillery. Mustered in April 16, 1861; mustered out July 31, 1861, at Boston. His widow, Harriet, filed for a pension Aug. 19, 1864. Co. G, 8th Maryland Infantry. Co. E, 1st U.S. Sharpshooters (Regular Army). Enlisted Sept. 6, 1861; discharged Jan. 21, 1862, at Washington, D.C., on disability. He filed for a pension Oct. 2, 1874; his widow, Sarah, filed for one Oct. 16, 1882. Co. K, 47th Kentucky Infantry. Enlisted Dec. 4, 1863, at Camp Nelson, Ky.; absent when mustered out April 12, 1865. He filed for a pension Oct. 11, 1890.
private/corporal/sergeant; of West Haven and Bridgeport, Conn.
Co. B, 1st Connecticut Cavalry. He was promoted to corporal on June 1, 1863, and to sergeant on Nov. 3, 1864. Lost his right hand April 6, 1865, at Sailor's Creek, Va., and filed for a pension Jan. 17, 1866.
private; of Harrison and Kirkersville, Ohio, and Denver, Colo.
Co. F, 95th Ohio Infantry and Co. H, 23rd Veteran Reserve Corps, Ohio. Enlisted Aug. 10, 1862. He filed for a pension April 19, 1880. Brother of Ezriah J.
private/corporal; of New Marlborough, Mass. ; Des Moines and Sioux City, Iowa. Co. K, 49th Massachusetts Infantry. Worked as a mason. He filed for a pension Sept. 24, 1863. He's a brother of Truman, and Leander Burton. quartermaster sergeant/sergeant; of Toledo, Ohio, and Magnet, Ark. Cos. S and A, 14th Ohio Infantry. Enlisted Sept. 5, 1861. He filed for a pension on Oct. 26, 1888, while in Arkansas, but no certification number was issued. Co. D, 20th Iowa Infantry. Enlisted Aug. 15, 1862; promoted to 8th corporal on Dec. 1, 1862, 7th corporal on Jan. 23, 1863, 5th corporal on March 19, 1863; discharged April 16, 1864, at Arkansas Pass, Texas, on disability. He filed for a pension on Feb. 3, 1888. He served with his brother William "Will" Moses. He was buried at Los Angeles' Evergreen Cemetery. Co. B, 23rd Michigan Infantry and 23rd Michigan Engineers Corps. Captured May 24, 1864, near Cassville Station, Ga., and sent to prison at Andersonville, Ga., where he died Sept. 8, 1864, of scurvy. His widow Christiana filed for a pension Oct. 27, 1865.
assistant surgeon; of Lima, N.Y., and Hammons, La. 2nd New York Cavalry. Enlisted Nov. 29, 1864. Not mustered. His daughter, Ruby, filed for his pension Dec. 15, 1886. Co. U, 194th New York Infantry. Enlisted March 25, 1865; mustered out May 10, 1865, at Elmira, N.Y.
Co. H, 76th Illinois Infantry. Enlisted Aug. 6, 1862; mustered out July 22, 1865, at Galveston, Texas. He filed for a pension May 17, 1880.
private; of Roane County, Tenn., Adair, Mo., and Yale, Okla.
Co. L, 16th Missouri Cavalry. He filed for a pension June 8, 1891; his widow, Julia, filed for one March 21, 1927. 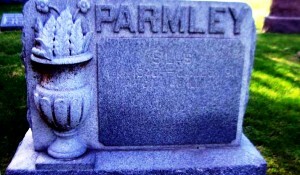 He was buried at Yale's Underwood Cemetery. Co. E, 171st Ohio Infantry. Enlisted April 27, 1864; mustered out Aug. 20, 1864, at Johnson's Island, Ohio. He filed for a pension May 24, 1900; his widow, Mary, filed for one Sept. 19, 1908. Served with brother Leo Levi. Co. G, 211th Pennsylvania Infantry. His widow, Honor, filed for his pension Feb. 14, 1905. Co. C., 27th Connecticut Infantry. Enlisted Sept. 10, 1862; killed Dec. 13, 1862, at Fredericksburg, Va. -- in the same battle as Robert H. His widow, Jane, filled for a pension Feb. 22, 1864.
private; of Barkhamsted, Conn., Hopeville, Iowa, and Council Hill, Ark. Co. B, 18th Iowa Infantry. Enlisted July 19, 1862; mustered out Aug. 5, 1862. He was taken prisoner May 27, 1864, near Clarksville, Ark., and sent to Camp Ford at Tyler, Texas, then transferred to Camp Grace at Hempstead, Texas, in August 1864. He was paroled at Galveston, Texas, in December 1864, and sent by U.S. Army transport -- likely the Clinton -- to New Orleans, La. He mustered out with his regiment July 20, 1865, at Little Rock, Ark. He filed for a pension May 11, 1891; his widow, Lydia, filed for one on Dec. 29, 1913. Co. G, 1st Ohio Light Artillery. Enlisted Dec. 23, 1863; mustered out Aug. 31, 1865, at Camp Chase, Ohio. He filed for a pension July 9, 1877; his widow, Maggie, filed for one Sept. 17, 1887. Served with a nephew, Everett "Frank." Cos. F and S, 7th Ohio Infantry. He entered the service July 10, 1861, and mustered out at Washington on July 5, 1862. Co. G, 134th New York Infantry. private/cook; of Oak Grove, Wisc., Iowa Falls and Vinton, Iowa, and Nebraska City, Nebr. Co. H, 51st Wisconsin Infantry and Co. B, 53rd Wisconsin Infantry. Enlisted Feb. 28, 1865, mustered out Sept. 7, 1865. He filed for a pension March 22, 1907; his widow, Nora, filed for one Aug. 7, 1926. He is buried at Iowa Falls' Union Cemetery. 5th Ohio Cavalry. Died on a hospital ship of wounds suffered at the Battle of Shiloh. Co. E, 108th New York Infantry. Enlisted Aug. 6, 1862; mustered out May 28, 1865, at Bailey's Crossroads, Va. His widow, Amelia, filed for a pension May 14, 1908. He was buried at the family plot at Pleasant Hill Cemetery at Ogden, N.Y.
1st lieutenant/captain; of Valparaiso and Indianapolis, Ind. Co. A, 7th Indiana Cavalry. Enlisted Aug. 15, 1863; mustered out July 21, 1865. He filed for a pension Jan 5, 1876; his widow, Louisiana, filed for one Sept. 3, 1888. He was buried at Crown Hill Cemetery in Indianapolis. Co. K, 7th East Missouri Militia Infantry and Co. K, 15th Missouri Cavalry. He filed for a pension July 15, 1896; his widow, Priscilla, filed for one July 10, 1919. Brother William Henry also served; brothers Ellsberry and James fought for the Confederacy. private/sergeant major; of New Haven, Conn.
Cos. L and S, 2nd Connecticut Heavy Artillery. Enlisted Jan. 25, 1864; wounded June 1, 1864, at Cold Harbor, Va. He was promoted to corporal on April 14, 1864, and appointed sergeant major on March 30, 1865. He filed for a pension May 17, 1874; his widow, Estelle, filed for one May 24, 1920. Batty. M Co., 4th New York Heavy Artillery. Enlisted May 18, 1863, discharged June 21, 1863, on disability at Rochester, N.Y.
private; of West Bloomfield and Rochester, N.Y., Oakland, Long Beach, and Sawtelle, Calif.
Co. D, 11th New York Light Artillery and Co. G, 21st New York Infantry. Enlisted Aug. 11, 1864 in Company D and mustered out May 30, 1865, at Alexandria, Va. Enlisted July 28, 1863, in Company G, discharged Oct. 14, 1863, on disability at Troy, N.Y. He filed for a pension July 11, 1879, and spent his final years at the Soldiers Home in Sawtelle. He was buried at Los Angeles National Cemetery. Co. M, 13th Illinois Cavalry. Enlisted Dec. 21, 1863; mustered out Aug. 31, 1865, at Pilot Knob, Mo., or Pine Bluff, Ark. He was also a physician. He filed for a pension Sept. 29, 1882; his widow, Mary, filed for one June 22, 1925. He was buried at Rock's Mount Zion Cemetery. Co. C, 7th Michigan Cavalry. Enlisted Nov. 10, 1862; captured May 17, 1864, at Malvern Hill, Va., and sent to Andersonville, Ga., where he arrived May 31. Died of diarrhea on July 19, 1864. His brother Daniel also served. hospital steward; of Poughkeepsie, N.Y.
Co. S, 12th New York Cavalry. Enlisted Nov. 16, 1862; mustered out July 19, 1865, at Raleigh, N.C.
private/corporal/sergeant; of Guilford, Conn., and West Salem, Wisc. Co. A, 10th Connecticut Infantry. Enlisted Aug. 29, 1861; mustered out Aug. 25, 1865. He was wounded Oct. 13, 1864, at Darbytown Road, Va. He was promoted to corporal on Jan. 1, 1865, and to sergeant on June 15, 1865. He filed for a pension March 12, 1881; his widow, Martha, filed for one Oct. 18, 1911. Cos. B & K, 146th New York Infantry, and Co. I, 117th New York Infantry. Enlisted Sept. 3, 1862; died of disease Jan. 16, 1863, at Potomac Creek near Washington, D.C. His widow, Frances Elizabeth, filed for a pension April 24, 1863. Co. K, 3rd Iowa Infantry. Enlisted May 21, 1861; mustered out June 18, 1864, at Davenport, Iowa. His left leg was severely wounded Oct. 5, 1862, at Matamora, Tenn. He filed for a pension April 20, 1894, and lived out his last years at the Iowa Soldiers Home in Linn. Hospital papers show that age 71 he was 5-foot-4, had blue eyes, gray hair and dark complexion, and that he'd been a carpenter. He was buried at the Malvern Cemetery in Malvern, Iowa. Co. B, 75th New York Infantry. He filed for a pension May 30, 1900; his widow, Frances, filed for one April 17, 1909. He was buried at Forest Home Cemetery at Forest Park, Ill.
Co. G, 7th Connecticut Infantry. Enlisted Sept. 4, 1861; wounded July 11, 1863, at Ft. Wagner, S.C.; discharged with a disability April 15, 1864. He filed for a pension April 24, 1864. Co. H, 20th Wisconsin Infantry, however a son's biography states he served with the 120th Illinois Volunteers. Enlisted Aug. 12, 1862; discharged Feb. 4, 1863, on disability. He was wounded in an arm and knee at the Battle of Shiloh. He filed for a pension May 28, 1863; his widow, Catherine, filed for one March 13 or 17, 1890. Also serving were brothers Homer A., and Truman. Co. E, 171st Ohio Infantry. Enlisted April 27, 1864; mustered out Aug. 20, 1864, at Johnson's Island, Ohio. He filed for a pension Jan. 22, 1895. Served with brother James Lownes. private; of Troy, N.Y., and Philadelphia, Pa.
Co. H, 7th New York State Militia. Left New York City for Washington on special call of President Lincoln on April 19, 1861. Mustered out at New York City June 3, 1861.
lieutenant/adjunct; of Twinsburg, Ohio, and New Haven, Conn.
Cos. F & S, 2nd Regiment of U.S. Sharpshooters; killed at Antietam, Md., on Sept. 17, 1862, on the bloodiest day of the war. Co. A, 1st Vermont Heavy Artillery. Enlisted Jan. 1, 1864; died of disease in a Annapolis, Md., hospital on Aug. 31, 1864. He was promoted to corporal on Jan. 23, 1864. His widow, Harriet, filed for his pension Oct. 13, 1864. Co. K, 1st Michigan Engineers and Mechanics Corps. He filed for a pension Aug. 16, 1869; his widow, Carrie, filed for one Nov. 10, 1900. Co. G, 26th Ohio Infantry. Enlisted July 24, 1861, killed at the battle of Kennesaw Mountain at Marietta, Ga., on June 24, 1864. He was buried there at the national cemetery. His brother Henry also served. musician/private; of Brown County, Ind. Co. D, 82nd Indiana Infantry. He filed for a pension July 19, 1895; his widow, Mary Jane, filed for one Dec. 5, 1896. He was buried at Unity Baptist Church Cemetery in Beanblossom, Ind. Co. K, 74th Illinois Infantry. Enlisted Aug. 6, 1862; mustered out June 10, 1865, at Nashville, Tenn. He was a member of Gen. William Rosecrans' staff and several of his letters survive. He filed for a pension May 12, 1904. He and Marius were twins; both were buried at Rockford's Cedar Bluff Cemetery. Co. K, 74th Illinois Infantry. Enlisted Aug. 14, 1862; killed Dec. 31, 1862, at Stones River, Tenn. He and Marcus were twins; both were buried at Rockford's Cedar Bluff Cemetery. musician; of Juneau, Wis., and Knoxville, Tenn.
29th Wisconsin Infantry. Said to have been a drummer but I have not found any of his service records. private/corporal/sergeant; of New Haven, Conn.
Co. G, 7th Connecticut Infantry. Enlisted Sept. 7, 1861; mustered out July 20, 1865, at Goldsboro, N.C. He was promoted to corporal on June 25, 1862, and to sergeant on Sept. 27, 1864. He filed for a pension Aug. 26, 1890; his widow, Mary, filed for one May 10, 1905.
private; of Pulaski and Cobb, Wisc., Hawkeye, Iowa, and Dean, S.D. Co. C, 43rd Wisconsin Infantry. Enlisted Aug. 24, 1864; mustered out June 24, 1865, at Nashville, Tenn. He filed for a pension March 26, 1873. We have a family portrait. private; of Enfield, N.Y., Jonesville, Mich., and Santa Fe, N.M.
Co. H, 188th New York Infantry. His widow, Hetty, filed for a pension Aug. 9, 1890. Co. S, 3rd Vermont Infantry. Enlisted June 10, 1861; resigned Dec. 18, 1861. His widow, Julia, filed for a pension March 23, 1908. Co. A, 130th Ohio Infantry (National Guard). He filed for a pension March 9, 1910; his widow, Kate, filed for one Aug. 12, 1918. 1st sergeant/sergeant; of Lorain County, Ohio; Niles, Mich., and Rochelle, Ill.
Co. E, 124th Ohio Infantry. He filed for a pension Aug. 11, 1900; his widow, Laura, filed for one June 13, 1912. 35th New York Infantry. He filed for a pension Aug. 25, 1883; his widow, Eliza, filed for one July 1, 1889.
private; of Hillsdale and St. John's, Mich.
Co. F, 4th Michigan Infantry (first organization). Enlisted June 20, 1861; mustered out June 29, 1864, at Detroit. He filed for a pension June 9, 1885. He is a brother of Alonzo. private; of Maple Grove, Mich.
Co. D, 1st Michigan Cavalry and Co. A, 6th Michigan Cavalry. Enlisted March 30, 1865; mustered out March 10, 1866, at Salt Lake City. He is the brother of George Washington and Reuben G.
private; of Brockport, Hamlin and Perry, N.Y.
Co. L, 3rd New York Light Artillery. Enlisted Nov. 9, 1861; mustered out July 7, 1865, at Syracuse, N.Y. He filed f, or a pension March 23, 1888; his widow, Mary, filed for one July 28, 1925.
private; of Rody, N.Y., and Kingston, Wisc. Co. I, 11th Wisconsin Infantry. Enlisted Oct. 1, 1861; discharged Nov. 20, 1862, on disability. Co. I, 11th Connecticut Infantry. Enlisted Nov. 27, 1861; discharged Sept. 2, 1865. He filed for a pension Aug. 12, 1890; his widow, Amanda, filed for one June 20, 1901. He was buried at Mountain View Cemetery, North Canaan, Conn.
Co. G, 23rd Connecticut Infantry. His widow, Sarah, filed for a pension Aug. 20, 1866. Co. A, 6th Michigan Cavalry. Enlisted April 4, 1865; died of disease May 20, 1865, at Baltimore, Md. He is the brother of Oliver A. and George Washington, above. His father, Thomas J., filed for his pension July 3, 1880.
private; of Jamestown, Ky., and Liberty, Mo. Co. I, 31st Missouri Infantry and Co. C, 32nd Missouri Infantry. He filed for a pension May 29, 1885. He was buried at the New Masonic Cemetery at Potosi, Mo. 2nd lieutenant; of Paterson, N.J.
Co. C, 25th New Jersey Infantry. Enlisted Sept. 2, 1862; wounded Dec. 16, 1862, near Falmouth, Va.; resigned Jan. 5, 1863. He filed for a pension July 19, 1890; his daughter, Elizabeth, filed for one Aug 3, 1891. Co. D, 13th New York Infantry. Enlisted April 25, 1861; killed Dec. 13, 1862, at Fredericksburg, Va., in the same battle as Joel Cruttenden. His mother, Catherine, filed for his pension Feb. 29, 1864. Robert is the brother of Aaron Baldwin. private; of Sullivan County, Mo. Co. D, 18th Missouri Infantry. Co. L, 9th New York Cavalry. Enlisted Nov. 22, 1861; died Oct. 11, 1863, in the cavalry charge at Brandy Station, Va. The GAR Post No. 618 in South Edwards, N.Y., was named after him. He is the brother of Erskin M. His father, Herman, filed for his pension Nov. 11, 1879. Co. E, 76th Illinois Infantry and Co. K, 46th Illinois Infantry. Enlisted Nov. 4, 1861; mustered out Dec. 29, 1864. He filed for a pension May 23, 1884; his widow, Lillian, filed for one Feb. 4, 1911. His half-brother, Thomas Henry, also served. private; of New Haven, Conn.
Co. F, 27th Connecticut Infantry. Enlisted Sept. 9, 1862; mustered out July 27, 1863, at New Haven, Conn. He filed for a pension July 3, 1891; his widow, Ellen, filed for one June 11, 1907. Co. M, 1st Minnesota Heavy Artillery. Enlisted Feb. 18, 1865; died May 21 or 22, 1865, at Chattanooga, Tenn. Buried in Section G, Grave No. 8750 of the Chattanooga National Cemetery. His widow, Eunice, filed for a pension Sept. 21, 1865. His brother William Henry "Hank," also served. Co. M, 22nd New York Cavalry. Enlisted Jan. 9, 1864; rejected. Is he the same man as below? Co. C, 11th New York Cavalry. Enlisted Dec. 31, 1861; discharged on disability Sept. 13, 1862, at Camp Relief in Washington, D.C. Is he the same man as above? Co. C, 109th New York Infantry. Enlisted Aug. 4, 1862, mustered out June 4, 1865, at Delaney House, D.C. He filed for a pension Sept. 17, 1904; his widow, Minnie, filed Jan. 31, 1922.
private; of Oden, Traverse City and Old Mission, Mich.
Cos. K & G, 1st Michigan cavalry. Enlisted Nov. 30, 1863, discharged Aug. 8, 1865, at Fort Leavenworth, Kans. He filed for a pension June 14, 1886; his widow Ellen filed Aug. 3, 1912.He is a half-brother of Edward M.
174th New York Infantry. Enlisted Nov. 13, 1862; discharged Oct. 17, 1863, on disability. Earlier he served as a captain/major in Co. 6, 109th New York State Militia for three months. He filed for a pension July 24, 1889; his widow, Mary, filed for one May 27, 1893. His name appears on a New York City recruitment poster and we have a copy of an 1863 letter he wrote. Co. K, 11th Minnesota Infantry. Enlisted Aug. 30, 1864; mustered out June 26, 1865, at St. Paul, Minn. He filed for a pension July 20, 1890; his widow, Margaret, filed for one Jan. 2, 1894. His half-brother, Silas, also served. He was buried at Union Township Cemetery in Defiance, Iowa. private; of Canaan, Conn., New Lebanon, N.Y., and Ripon, Wisc. Cos. M and D, 4th Wisconsin Cavalry. Enlisted Feb. 27, 1864; mustered out Sept. 7, 1865. He is the father of Franklin Henry, above. He filed for a pension Sept. 13, 1879. Also serving were brothers Homer A., Leander Burton and a son, Franklin Henry. private; of New Haven, Conn., and Pittsford, Mich.
Co. G, 2nd Michigan Infantry. Need more information to confirm. sergeant/2nd lieutenant/captain; of Guilford, Conn.
Cos. H & I, 1st Connecticut Cavalry and Co. D, 6th New York Cavalry. He was promoted to captain on July 4, 1864, was captured at Cedar Run Church, Va., on Oct. 17, 1864, and escaped three days later. He was killed April 1, 1865, at Five Forks, near Appomattox, Va. Originally buried at Five Forks, his body was one of hundreds in the area that were exhumed and reburied at Poplar Grove National Cemetery at Petersburg National Battlefield, Petersburg, Va. His tombstone is at right. His father filed for his pension Jan. 19, 1887. Co. F, 42nd Ohio Infantry. He filed for a pension Nov. 2, 1879; his widow Cornelia filed for one Feb. 2, 1918. Co. A, 2nd Connecticut Heavy Artillery. Enrolled Sept. 8, 1862; killed Nov. 11, 1862, at Alexandria, Va. His stepmother, Esther, filed for his pension July 26, 1875. He was buried at Alexandria National Cemetery, Plot: A-0-446. private; of Cazenovia and Brooklyn, N.Y.
11th Independent Battery, New York Light Artillery. He filed for a pension Oct. 27, 1900. Co. A, 2nd Connecticut Heavy Artillery. Enlisted Sept. 9, 1862; killed June 1, 1864, at Cold Harbor, Va. His widow, Hannah, filed for a pension June 29, 1864. Co. G, 39th Ohio Infantry. private; of New York City, Orange, N.J., and New Haven, Conn.
Co. H, 27th Connecticut Infantry. Enlisted Sept. 10, 1862; captured at Chancellorsville, Va., on May 3, 1863, confined at Richmond, Va., and pardoned 11 days later at City Point, Va.; mustered out July 27, 1863, at New Haven, Conn. He filed for a pension May 16, 1904; his widow, Anne, filed for one Jan. 14, 1899.
private; of Hamilton, Ind., Iowa City, Iowa, New York City and Leavenworth, Kans. Co. G, 22nd New York State Militia, for three months in 1862, and Co. D, 21st New York State Militia for 30 days in 1863.And he served with Co. D, 18th Kansas Cavalry for four months "during [Sterling] Price's raid" in 1867. He filed for a pension May 16, 1904; his widow, Lizzie, applied for one Oct. 25, 1912. Co. A, 17th Wisconsin Infantry. Co. D, 18th Kansas Cavalry. seaman; of Brooklyn and Bath, N.Y. He served aboard the Wabash, the Princeton and the North Carolina. He filed for a pension Dec. 9, 1897, and died at the Soldiers Home at Bath, N.Y.. Battery, Co. H, 1st Ohio Light Artillery. Enlisted Aug. 5, 1862; mustered out at Cleveland on June 14, 1865. He filed for a pension Nov. 30, 1892. He was buried at Toledo's Woodlawn Cemetery. In 2010, members of the Ohio Volunteer Light Artillery, Battery H reenactment group held a dedication ceremony at his grave. Co. B, 1st New York Light Artillery (National Guard). He filed for a pension Nov. 4, 1890; his widow, Julia, filed for one June 18, 1913. Co. B, 117th New York Infantry. He filed for a pension Jan. 2, 1872.
corporal; 1st lieutenant, of Canton, Conn.
Co. C, 6th Ohio Cavalry. Enlisted Feb. 15, 1865; mustered out at Petersburg, Va., on June 27, 1865. Co. C, 57th Illinois Infantry. Co. K, 15th Missouri Cavalry. He filed for a pension March 9, 1886; his widow, Louisa, filed for one Aug. 27, 1906. He was buried at Newtonia's Jolly Bethel Cemetery. His brother John also served; brothers Ellsberry and James fought for the Confederacy. Co. C, 1st Minnesota Infantry. Enlisted March 11, 1865; discharged July 14, 1865. He filed for a pension Jan. 28, 1893, and his widow, Helen, filed for one June 8, 1908. His brother Stephen also served. 11th Independent Battery, New York Light Artillery and Co. K, 1st New York Light Artillery. Enlisted Jan. 7, 1862; mustered out June 13, 1865, at Albany, N.Y. He was wounded in the thigh at Darbytown Road, Va., on Oct. 27, 1864. He was buried at Verona's Grove Cemetery. Cos. I and H, 12th Kentucky Infantry. He filed for a pension Aug. 12, 1874; his widow, Sarah, filed for one Feb. 6, 1903. This photo may be of him. With him in Co. I were brother Aladdin and half-brother Giles. Co. E, 76th Illinois Infantry. musician; of New Haven, Conn.
Co. E, 27th Connecticut Infantry. Enlisted Oct. 2, 1862; mustered out July 27, 1863, at New Haven, Conn. He filed for a pension Jan. 9, 1904; his widow, Catherine, filed for one Jan. 29, 1918 or '28. fifer/private; of Des Moines and Davenport, Iowa, and Chetopa, Kans. Co. D, 20th Iowa Infantry. Enlisted Aug. 15, 1862, as a fifer; reduced to ranks at his own request July 24, 1863; mustered out July 8, 1865, at Mobile, Ala. He filed for a pension July 29, 1890. He served with his brother James. He was buried at Chetopa's Oak Hill Cemetery. Co. K, 37th Illinois Infantry. Enlisted Jan. 23, 1865; absent, sick at Barrancas, Fla.
private; of Litchfield, Conn., and Livonia, Mich.
Co. K, 2nd Connecticut Heavy Artillery. Enlisted Sept. 8, 1862, discharged on disability Dec. 5, 1862. He was buried at Livonia Cemetery. Co. B, 33rd Iowa Infantry. Enlisted Aug. 8, 1862; mustered out July 17, 1865, at New Orleans. He filed for a pension June 26, 1880. He was buried at Oakwood Cemetery in Fort Worth, Texas. Co. K, 76th Illinois Infantry. Enlisted Jan. 23, 1865; absent, sick at Barrancas, Fla., mustered out Aug. 21, 1865. He filed for a pension April 6, 1891. He was buried at Sioux City's Floyd Cemetery.